Back row: Batty , Kay, Hinton, Weston. 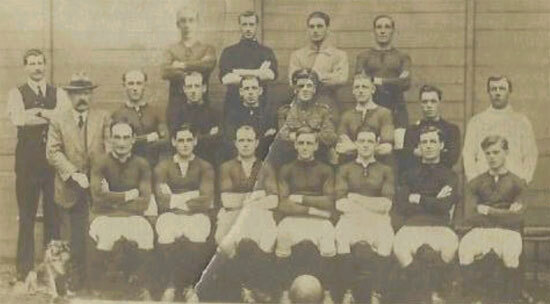 Middle row: Wiltshire (trainer), Allen (secretary/manager), Tout, Simms, Ing, Bolland, Lochhead, Covey, ? (trainer). ** Information extracted from the book Swindon Town - First in Wiltshire, with permission of the author, Paul Plowman.